Fuel prices not expected to impact boating participation this summer. Despite decreases in new boat sales last year, the industry remains alive and well as existing boaters took to the water in record numbers and had a willingness to spend on their boats and boating outings. The recreational boating industry’s leading trade group, National Marine Manufacturers Association (NMMA), announced today findings from its annual Recreational Boating Statistical Abstract. The Abstract reveals that of the 231.5 million adults living in the United States in 2010, 32.4 percent, or 75 million people, participated in recreational boating. This is the highest proportion of participation in recreational boating since 1999 when 33.4 percent of adults were boating participants. These 75 million boaters represent an increase of 14 percent compared to the recessionary year of 2009, which saw 65.9 million boaters. NMMA also reports that the 75 million Americans who took to the water in 2010 helped keep the industry afloat. Aftermarket accessory sales increased six percent to $2.4 billion (from $2.3 billion in 2009) and spending per boat averaged $147 for 2010, also up six percent from 2009. NMMA notes there are an estimated 17 million boats in use in the United States. What’s more, boaters increased their spending on operating costs (insurance, docking, fuel, maintenance and boating outings) by 3.6 percent from $8.4 million in 2009 to $8.7 million in 2010 and on new boat trailers by 15 percent, from $88 million in 2009 to $102 million in 2010. In August 2008, at the start of the recession, when gas prices were last above $4 per gallon, NMMA and Michigan State University’s Recreational Marine Research Center conducted a survey of 2,211 powerboat owners who went boating between January and July 2008. 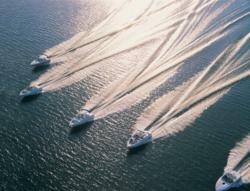 The survey found that 99 percent continued to go boating in 2008 despite rising fuel prices. In fact, boating participation increased six percent in 2008 to 70 million (from 66 million in 2007). There were 1,118,130 total power and sail boats sold in 2010 (not including canoes and kayaks) a four percent decrease compared to 2009. New power and sail boat unit sales totaled 188,230 in 2010, a decrease of ten percent compared to 2009’s decrease in unit sales of 35 percent, signaling that the rate of decline for new boat sales is slowing – a welcome sign for the industry. There were 929,900 pre-owned boats sold in 2010, a decrease of 2.4 percent compared to 2009, a likely result of continuing pent-up demand for boats and consumers looking for lower price points in the pre-owned market. In the new boat market, outboard boats, often small fishing or water sports boats, fared best, declining just four percent compared to 2009. There were 112, 800 new outboard boats sold in 2010. In the pre-owned market, sterndrive boats, typically boats less than 26 feet in length remained steady, increasing .03 percent compared to 2009. 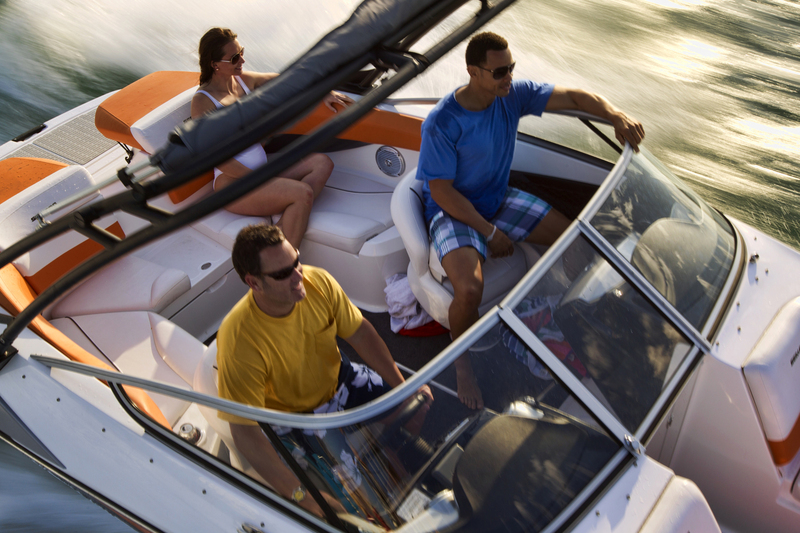 There were 175,800 total pre-owned sterndrive boats sold in 2010. Overall, recreational boating retail expenditures for boats, engines, trailers, accessories and services totaled $30.4 billion in 2010, a one percent decline from the previous year. Throughout the winter when the industry holds boat shows around the country, NMMA, the largest boat show producer in the U.S., saw 70 percent of its 15 winter boat shows increase in attendance, an indicator that buyers were returning. Echoing these attendance increases, exhibitors at NMMA shows reported improved sales over last year, strong leads and more attendees looking to make a purchase. Another signal the industry is climbing out of the recession is a renewed focus on its national marketing campaign, Discover Boating. The campaign, which launched in 2005, is the industry’s official national public awareness effort to help Americans get started in boating. The industry credits its campaign with helping bolster boating participation in 2006, 2007 and 2008. As a result of the economic recession, the industry was forced to scale back efforts in 2009 and 2010. This summer, however, the Discover Boating campaign is being re-ignited with a new theme titled “Welcome to the Water” designed to encourage the existing 75 million U.S. boaters to share their passion for boating by inviting their friends and family to the water. The campaign will feature a new, extensive Facebook effort, online advertising, digital marketing elements and public relations. Indiana increased .5 percent from $144 million in 2009 to $145 million in 2010. The remaining two Great Lakes states: Minnesota decreased 5.5 percent from $305 million in 2009 to $289 million in 2010 and Wisconsin decreased two percent from $298 million in 2009 to $292 million in 2010. NMMA’s Recreational Boating Statistical Abstract also shows two out of ten boaters live in the Great Lakes region which translates into nearly 17 million boaters residing in these states alone, making the Great Lakes region the top region for recreational boating in the U.S. Follow the Boating Lifestyle on Facebook and Twitter. About National Marine Manufacturers Association (NMMA): NMMA is the leading association representing the recreational boating industry in North America. NMMA member companies produce more than 80 percent of the boats, engines, trailers, accessories and gear used by boaters and anglers throughout the U.S. and Canada. The association is dedicated to industry growth through programs in public policy advocacy, market statistics and research, product quality assurance and promotion of the boating lifestyle. For more information, visit http://www.nmma.org.